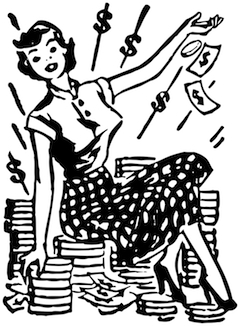 Saving lots of cash on clothes, by designing a new wardrobe out of old clothes. 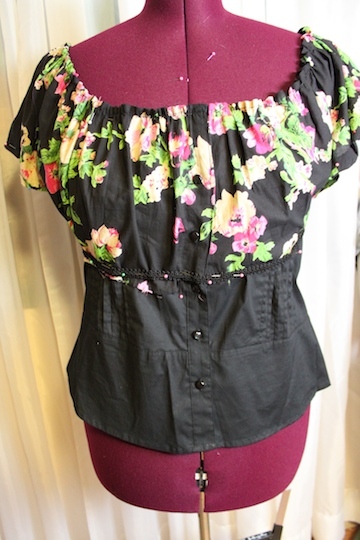 Moms Blouse is a combination of parts from clothing already existing, redesigned into something new. Utilizing much of the professional work already put into the garment. This was a common practice in the good old days. 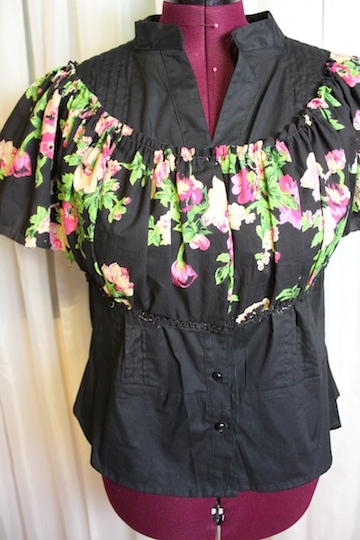 This blouse was given to me by my mom. I used a wide strip of fabric from the hem of a dress to redesign it. Check out the progress so far, and sign up for updates on the subscribe page for the rest of the story. I'm in the process of making some adorable tops at the cost of 0. 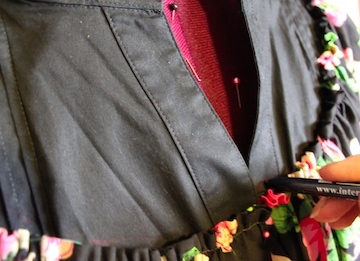 The buttons and pleating on the old garment can still be enjoyed on the new one. Love getting those professional looking button holes without the fuss. I'm also taking advantage of the beautiful detail work, and other professional touches. After all, it's still about the wardrobe in the end. Can I wear it? See photos below for progress so far. This long piece of fabric is a scrap from a dress hem I shortened a couple of years ago. I placed that over moms blouse, and began to have fun with the creativity involved in this process. Once you start bringing all these pieces together, it's amazing the ideas that pop out. For more on this, check out the "Design My Own Clothes" page for the step by step process I used to get started. 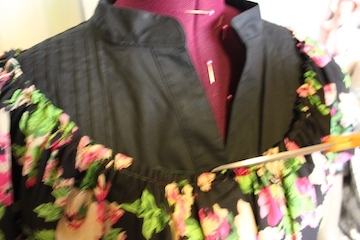 Here I used a pattern piece from a pattern that had a neckline I liked, as a guide for the neckline on this project. I'm marking the blouse using a pen that would allow me to see on black. In this case I would be cutting on the line, so I didn't use a washable pen. Here I'm cutting on the line I just marked. In this photo you'll see the neckline from moms blouse has been cut away, leaving the strip of fabric, which I gathered, and will attach and fit to size. 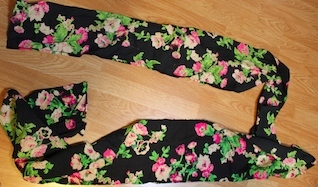 Then there's the sleeves and black trim to add around the upper waist and neckline. Subscribe for updates to get the final results on this project and others.